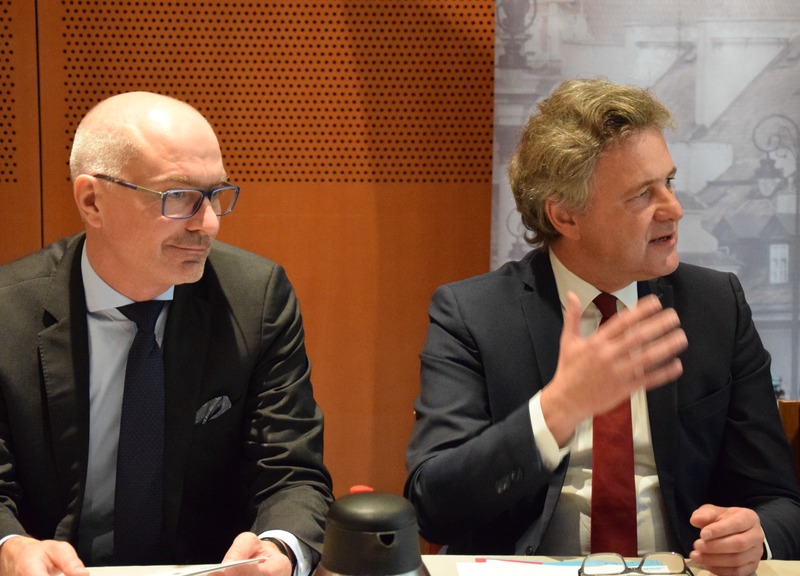 During the European Week of Regions and Cities, the Partnership for Urban Mobility was invited to a Breakfast Meeting with members of the European Parliament‘s Urban Intergroup. On the invitation of MEP Jan Olbrycht, President of the Urban Intergroup, members of the Partnership for Urban Mobility entered into a dialogue with MEPs from different EP committees. In his introductory speech Dr. Frank Mentrup, Lord Mayor of the City of Karlsruhe and political representative of the Partnership, highlighted the strong commitment of the partners in implementing the Pact of Amsterdam and in elaborating the Partnership’s Action Plan. He also stressed the need for a strong political and practical support by the European institutions to guarantee the successful implementation of the nine mobility actions. The project coordinators Anke Karmann-Woessner (Karlsruhe) and Frantisek Kubes (CZ) briefly explained the final Action Plan and its objectives as well as the challenges the Partnership is currently facing. The Action Leaders – EUROCITIES, POLIS, Nijmegen and the European Commission (DG MOVE) – presented their respective actions and answered the questions of the MEPs.